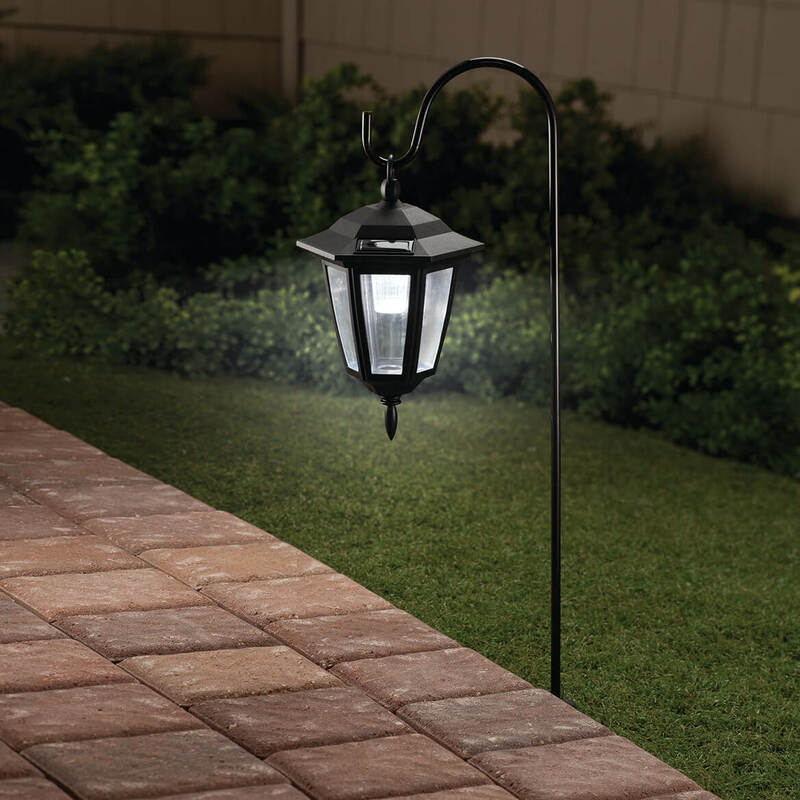 Good for lighting pathway, driveway or adding decorations to the yard. I USE THEM AROUND MY FRONT HEDGES. THE CLEAR GLASS MAKES THE LIGHT BETTER TO SEE AT NIGHT. Love them and the poll the Lantern hang on is not short at all and mine really light up at night. 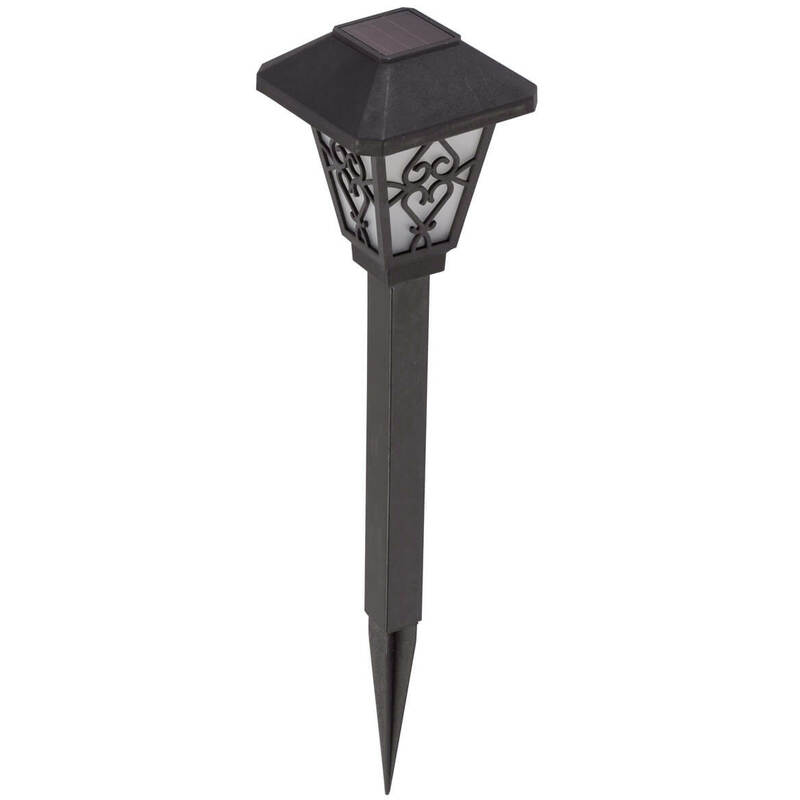 We enjoy the light this product puts out, however, we could use something with a stronger hook on top that wouldn't break off in every strong wind. Arrived in good condition and is just what I thought it would be like. I have it in the ground in the spot I designated for it and it looks very nice. I would have favored it more if it was taller than it is, but it appears to perform quite well and does the trick. we use them on our walk in front ..just be sure they are in the sun alot..would wish they would sell seperate from poles for a lesser price...poles are useless. This item is totally a waste of money, ordered four and when I tried to snap in the top of the hard "plastic" item they broke off so they do not hang, will return for full refund. Don't waste your money. The light is very weak, compared to other solars I have. Not what I thought. Do not like! I wish I had NOT spent my money on this. I bought 2, & 1 had to be trashed. The picture is deceiving. The pole is so short, it looks really stupid that low to the ground. Not worth the money. I'm going to get a refund. I had one in the past that I really liked with solar power. It eventually stopped working. 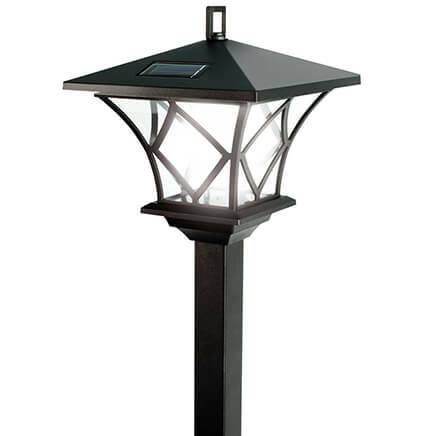 I have a concrete outdoor jockey that will hold this lantern. 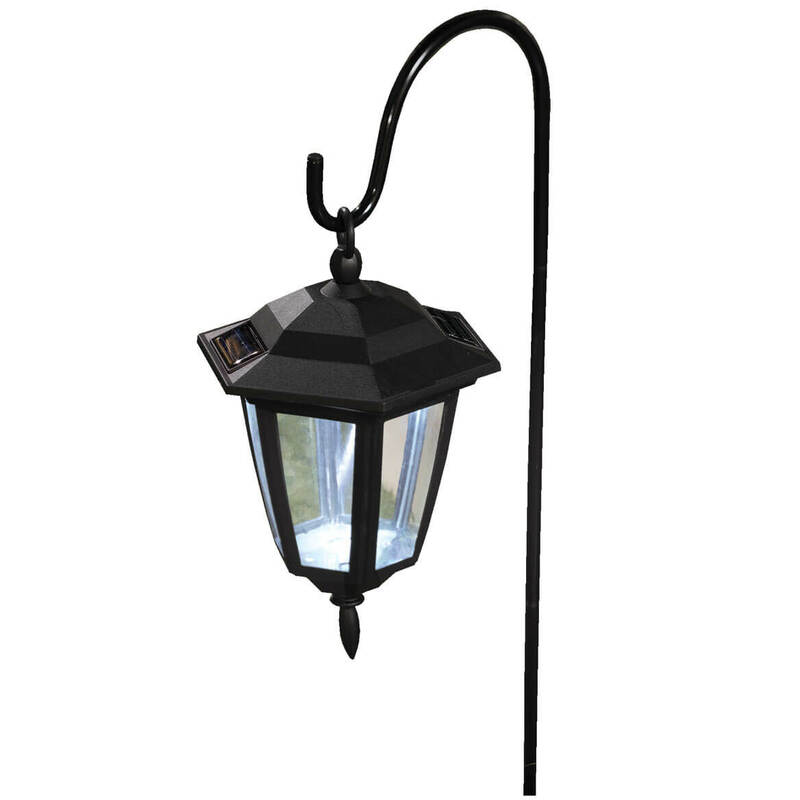 Because I like the hanging lantern look and I can't find anywhere, happy to receive your catalog and there it was, thank you!!! Excellent value and classic design. Very cute, bought it for the front yard. Made one season. I still have it out there but I put T-lights in it. They look really nice and will work in thick mulch landscaping. This will look good in a special place out front. I had one that was similar and no longer usable. I couldn't find this same lantern at the big box stores in my area. I was surprised to see that you offered it . Thank You! I have a barn star hanger in my front yard and these look great on it. Seem to be a fair price! For my driveway. Need solar. I have some of these lanterns in my flower garden that I needed to replace. I was so glad to find them again! So pretty in daytime and really pretty at night! Very durable! Matching what I can no longer find in the store... keeping selling, I may need more!! This will be great to light our dark staircase in front of our house for our visitors. 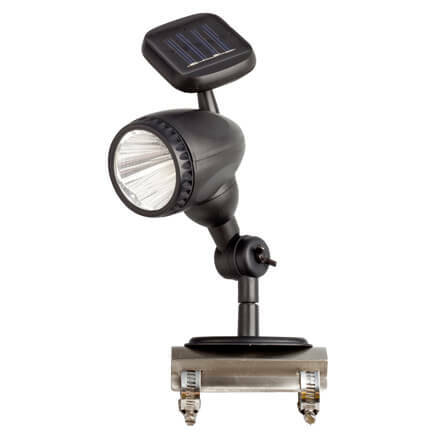 Love solar lites and theses are great. 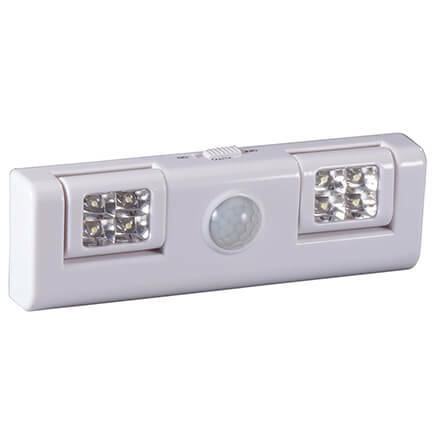 I have one similar that it got too old and the light does not work anymore. I like how it looks in my front flower bed. Used as accent pieces in garden. BEST ANSWER: Thank you for your question. 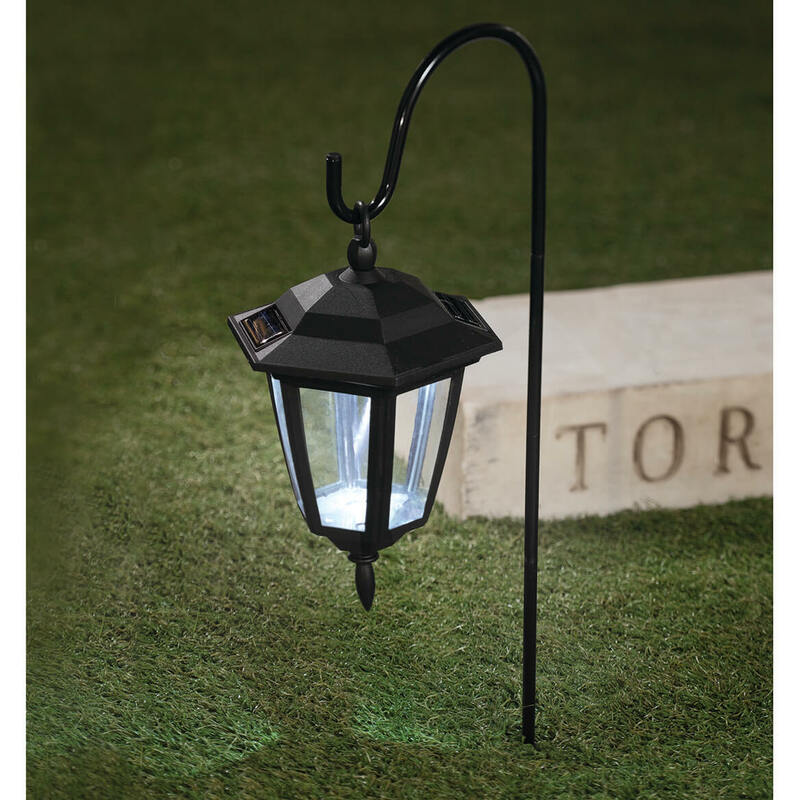 The Hanging Solar Lanterns are only sold in black. We apologize for any inconvenience.